We conducted a Pallative Care Training for the staff of Home for the Elderly in Tanay, Rizal last June 7-9 and June 21-23. 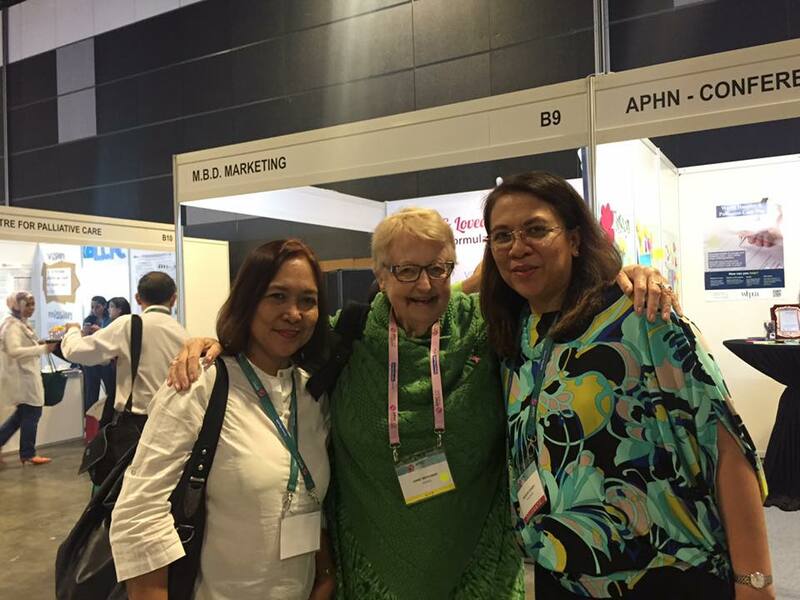 Dr. Dory and Gina attended the 12th Asia Pacific Hospice Care Conference at the Suntec Convention Center, Singapore. Here they are with Dr. Anne Merriman, hospice pioneer from South Africa. The UP College of Medicine Class of 1987 visited hospice to turn over their donation last October 22. Our Dr. Dory is part of this class. Thank you, Doctors of ’87! The Laguna Medical Society represented by Drs. Geralyn Garcia and Anthony Harvey Aguilar also gave us a donation. Thank you, LMS for your continued support throughout the years! We are honored to be your partner in caring for our kababayans in Laguna. Our Foundation was recognized by the Philippine National Volunteer Service Coordinating Agency as one of the 2017 Outstanding Volunteer Groups. Congratulations to our volunteers! Volunteers Lita Canonizado and Alicia Capiral accepted the award along with our President, Fermin Adriano, Dr. Dory and Gina Cabrera last December 14 at the Crowne Plaza Hotel.